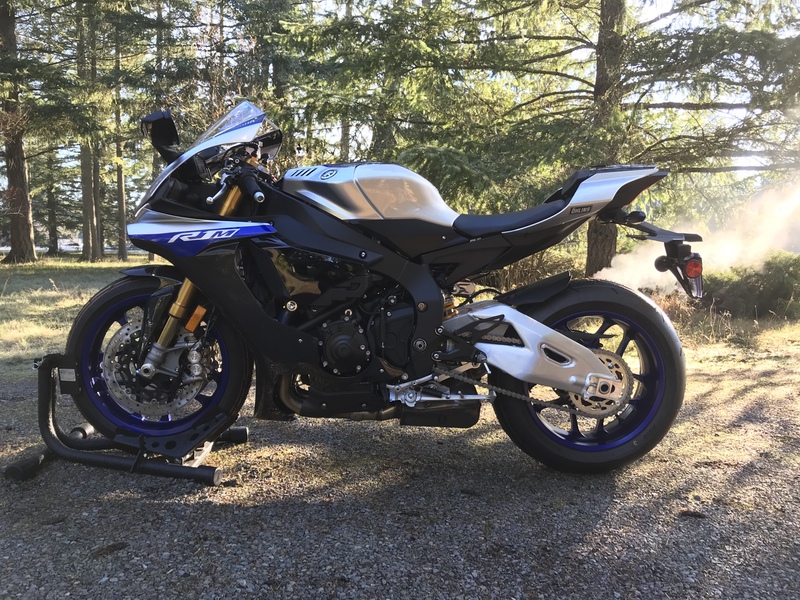 Since my 16R has become my dedicated trackbike, I’ve been trying to find the right bike for me for the street. 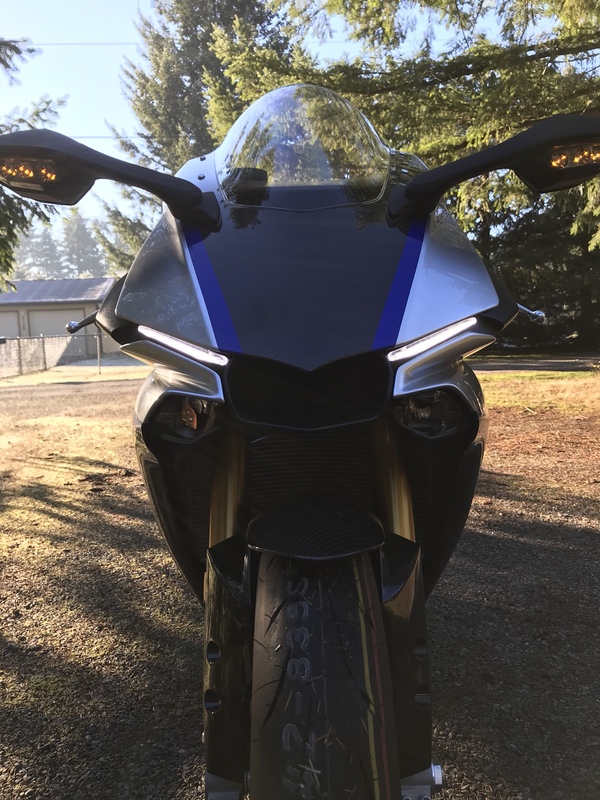 Last April I picked up a 2017 S1000RR, great bike, but I just never jelled with it. Loved the heated grips though. 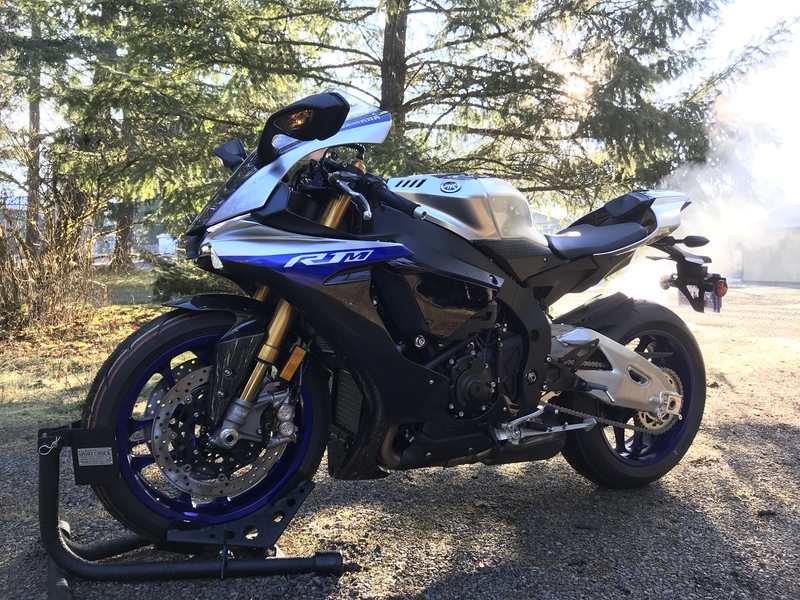 So Saturday before thanksgiving I traded her in for a 2018 R1M. First time out on her I felt perfectly at home with a huge smile on my face. She feels like Yamaha’s version of my Pani. Constantly urging me to misbehave. I was down to deciding between the R1M or the RSV4 RF. 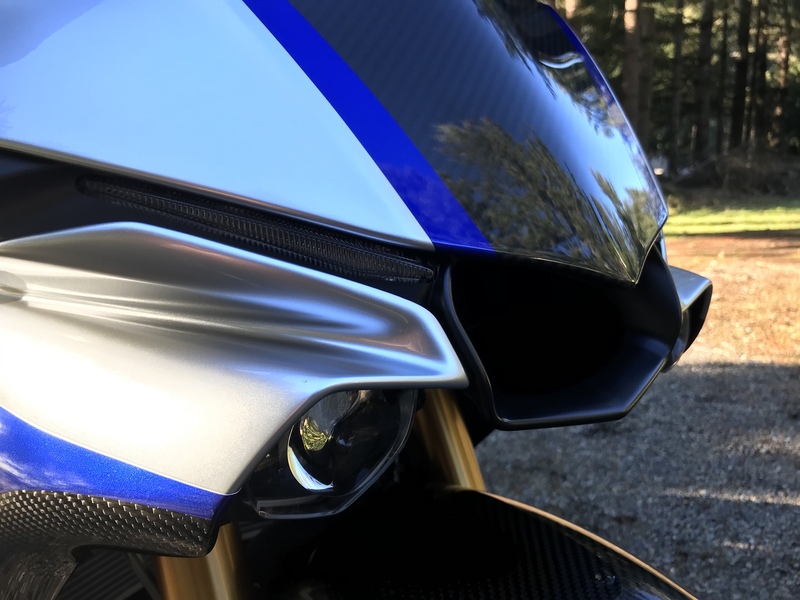 Surprisingly the deciding factor was that the riding position was more aggressive on the R1M. Being just shy of 55 years you’d have thought I’d be looking for comfort lol. Love the bike, it’s biggest flaw/disappointment is the brakes, or should I say lack of Brembos. At the bikes price point it really should have them. The brakes feel wooden. Where I’d only need a single finger on the Pani, I need to use two fingers on the R1M. But for the street it’s livable. Not much for mods planned. Picked up an R&G tail tidy that I still need to install. And since I’m not worried about ultimate performance out of her, I ordered up an AR GP2R exhaust. 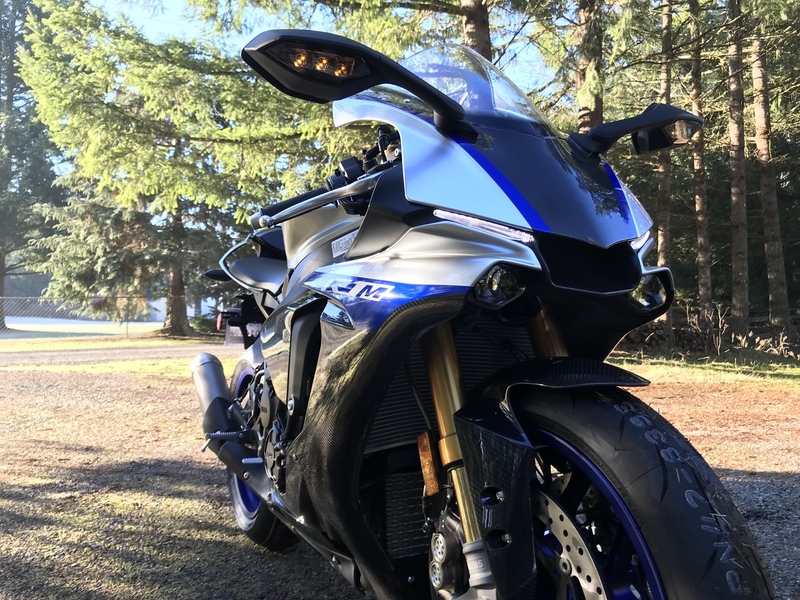 Looks great on a friends R1M but F me it’s loud lol. Fingers crossed that the crank doesn’t fail me. Beautiful bike, man. Well done! She’s a beauty Twisted!! I’ve never ridden one but I’ve been behind one and I love the sound they make. 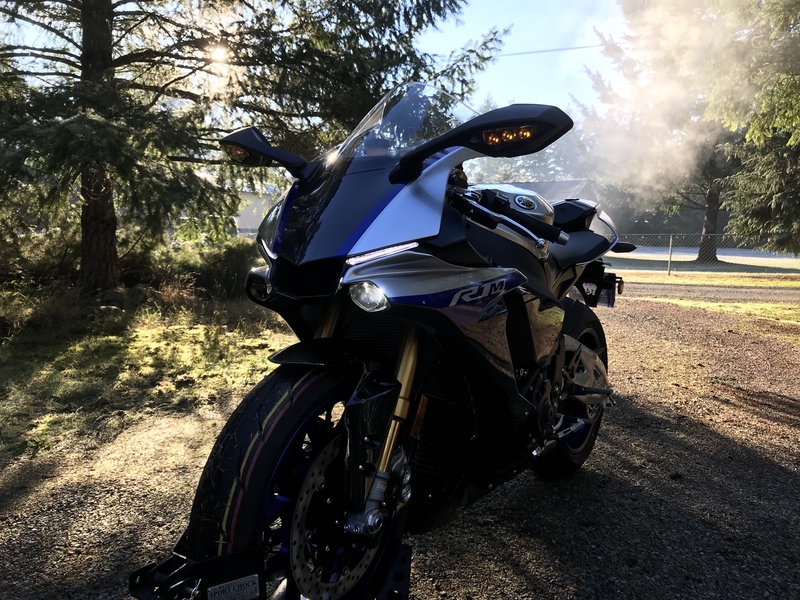 I decided to try the rsv4rf myself given how much the journalists rave about it. It’s a fun, capable bike too but your new toy looks sweet! Kevin I love the RF also. I sure wish I could afford a third bike right now. I’d snap one up!!! The RF and crossplane both sound sweet! Out riding this afternoon with friends on a Pani V4s and Aprilia Tuono, both with stock pipes and I could easily hear both bikes over mine. Only way to hear mine over theirs was to throttle up harder lol.